Some of the entertainment world’s most notable celebrities are joining forces to help legalize marijuana in California. “Divergent” series star Shailene Woodley, Tim Robbins, and rapper Common were among the many stars to announce on Tuesday the formation of “Artists for 64” in an effort to support California’s prop 64 campaign to legalize recreational marijuana for adult use, reports the Los Angeles Times. If we truly care about radically reducing the number of people in our jails and prisons for nonviolent recreational use of marijuana; the consequential destabilization to families and communities; and, the crisis of prisoner re-entry into over-policed and economically neglected communities – Prop 64 is an opportunity to send a strong public policy message. Please vote YES on Prop. 64. 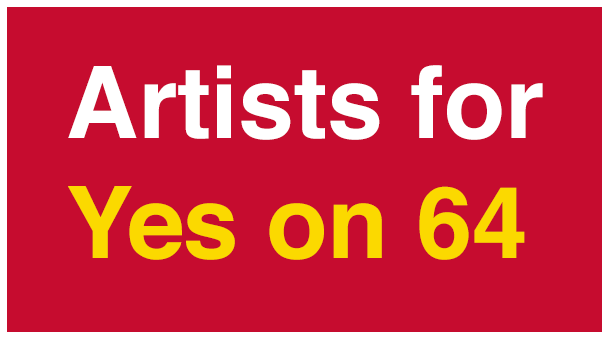 Artists for 64’s campaign includes a new advertisement featuring retired basketball player and former Golden State Warriors star Al Harrington, who credits medical marijuana for helping him get over a staph infection, as well as treating his grandmother’s glaucoma.